One of the interesting items with today’s computer market is the use of multiples in so many components. When I first started playing around with PCs there was very little in the consumer (or even prosumer) market that had multiple anything. Occasionally you saw someone with multiple MODEMs running in tandem or shotgun mode. Then 3dfx brought in the multiple GPUs in the form of the add-in Voodoo3D Accelerator and things took off Now we see multiple CPUs and CPU cores, Multiple interlinked channels of RAM, Multiple Video cards, multi-channel audio, and of course multiple monitors. 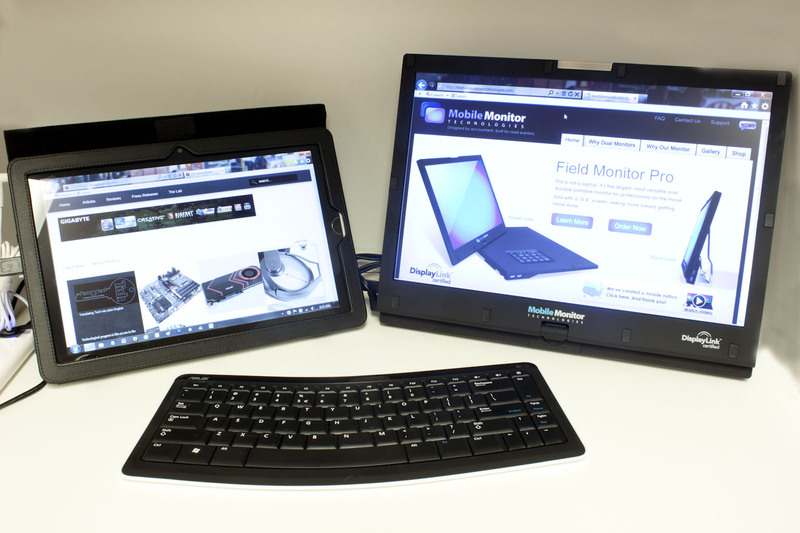 However, while multiple monitors have penetrated the desktop market the mobile market is still waiting on a solution. The issues is pretty simple; portability. Thanks to Displaylink and Mobile Monitor Technologies we have an answer to those that need an extra screen on the road. So let’s introduce the Field Monitor Pro. Office for iPad comes on 27th March?